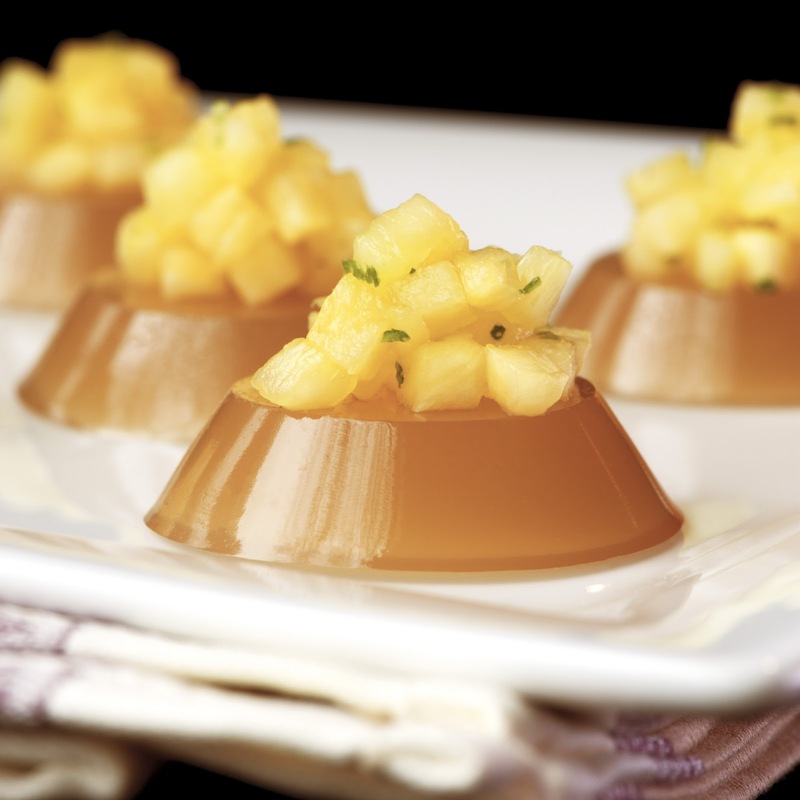 Pineapple Brandy Fix Jelly Shot, a tasty little pineapple-topped bite . . .
Pineapple Brandy Fix is a lovely jelly shot for fall - the brandy flavor is subtle, yet rich and is nicely enhanced by the pineapple and lime. Pour the limeade concentrate, pineapple juice, water and sugar into saucepan, and sprinkle with gelatin. Allow gelatin to soak for a minute or two. Heat on low temperature, stirring constantly until gelatin and sugar are dissolved (approximately 5 minutes). Remove from heat. Stir in brandy and the green chartreuse. Pour into pan or molds, and refrigerate until set (several hours or overnight). To serve, cut into desired shapes (or unmold). Top each jelly shot with chopped pineapple and lime zest, if desired. Makes 24 to 30 shots.